Fisk builds on intertextual studies to show how and why the author has created these episodes in pursuit of his strategy of rewriting the canonical story. The Liber Antiquitatum Biblicarum, a 'rewritten Bible' that follows the broad contours of Genesis to Samuel, includes numerous secondary, or out-of-sequence, episodes, and frequently juxtaposes unrelated biblical characters. The subtlety and significance of these inner-biblical linkages has up to now not been fully appreciated. 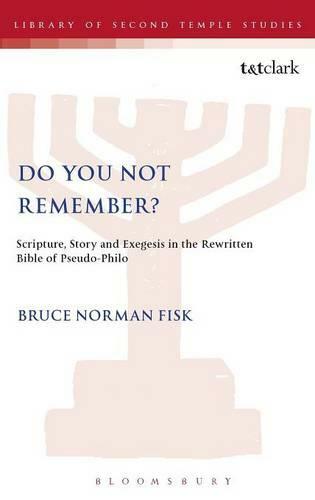 Building on recent studies in intertextuality, Fisk shows how Pseudo-Philo is often guided by intertextual links and themes present within the canonical precursor, that he is heavily indebted to post-biblical midrashic traditions, and that 'secondary scripture' is a strategic means by which Israel's traditions are reconfigured in this enigmatic text.